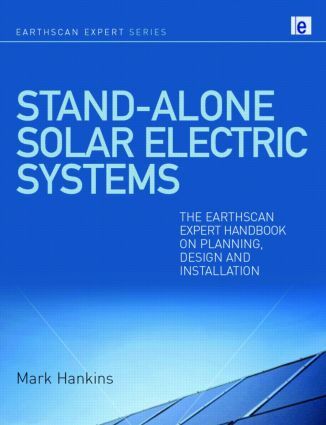 This is the must-have guide for electric technicians and designers, development workers, and anyone who wants to install their own off-grid system. Mark Hankins has over 20 years' experience of designing photovoltaic systems, managing projects and teaching solar electricity in Africa. He also managed a Nairobi-based renewable energy consulting company for over 10 years, and has written extensively on the subject.